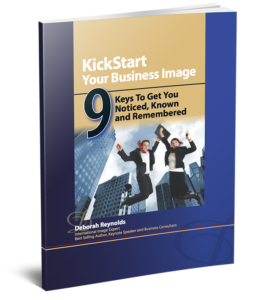 Creating a Lean and Efficient Business | Deborah Reynolds | About Face Image Consulting, Inc.
To recession proof your business, what are you doing to create a lean and efficient business? When we watch what is happening to the economy and infrastructure in the United States, some say that we Canadians are about five years behind the Americans. If that’s true, it can instill a little bit of unease in some. Others will be proactive and progress in business virtually unaffected particularly if they take advantage of opportunities around them. Watching expenditures should be a diligent process within every business, whether you are a large company or a small to medium business, or even homebased. Review all your expenses and look for ways to reduce and cut back. This is a great time to bring in your bookkeeper and accountant to have a close look at your expenses and to discuss where you can cut back or eliminate. This is also a great time to bring in your marketing team. Pull out your bank statements and take a close look. You may be surprised at how much you are spending on eating out and visiting Starbucks. When you total up these luxuries, consider putting that money towards something like a great marketing tool like www.sendoutcards.com/GetNoticed and other online strategies. Refrain from cutting costs in sales and marketing. These two areas are the lifeblood of the business. You still have to get your name out there and be marketing. Always ensure you test and measure. Track your income and where it’s coming from.